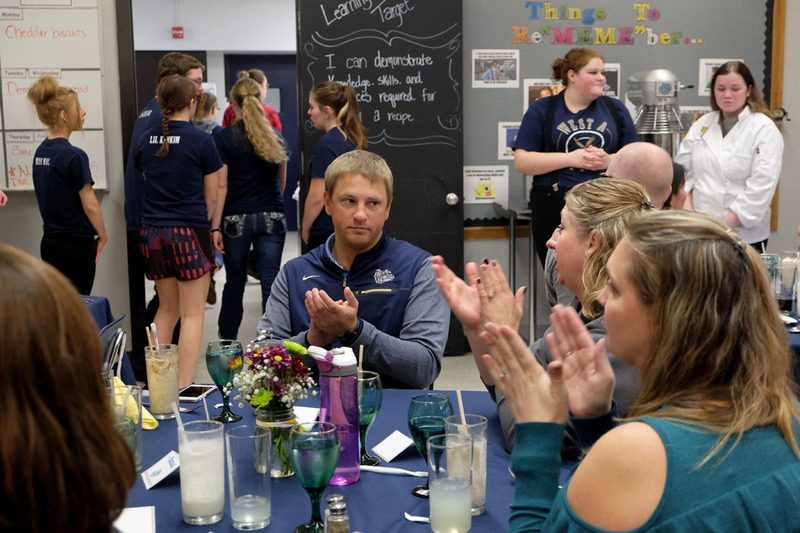 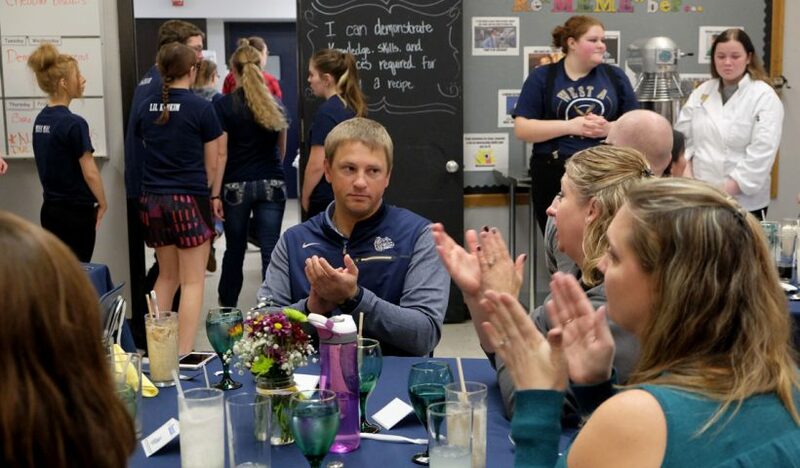 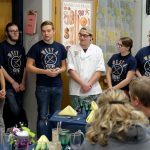 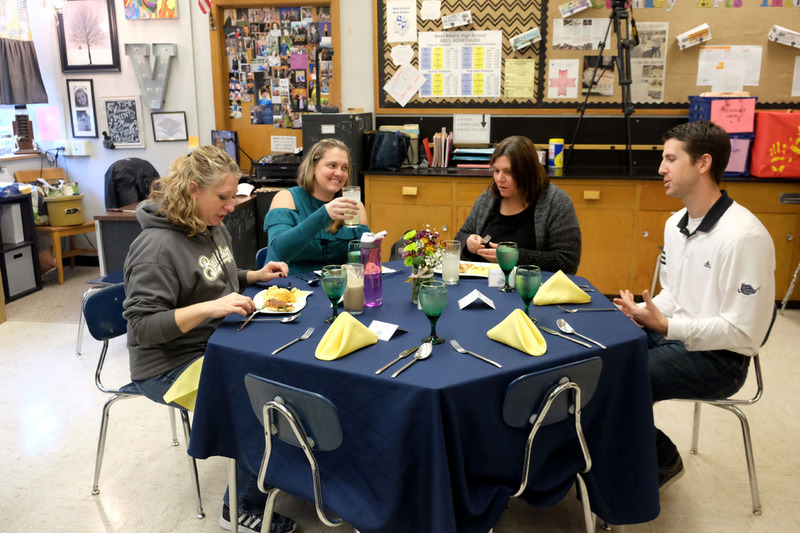 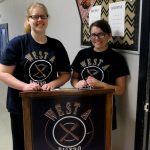 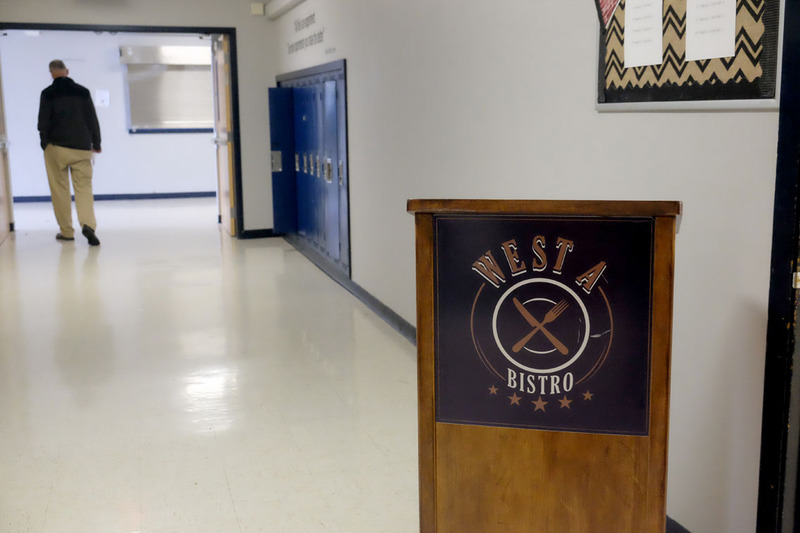 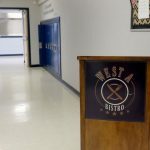 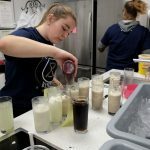 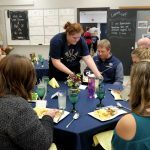 Now in its second year, the West Albany High School Bistro is giving advanced culinary students a real restaurant cooking experience and providing one of the best dining experiences in town. 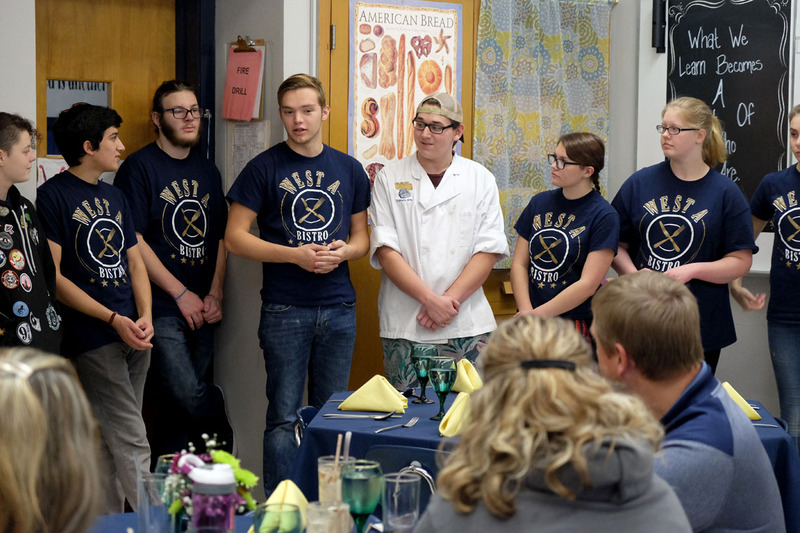 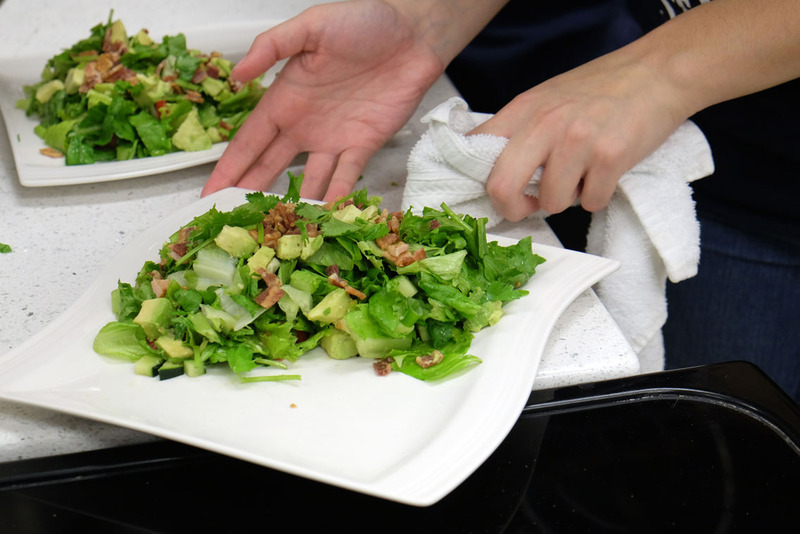 Led by foods teacher Dolly Victorine, the Bistro is part of the Culinary 4 class for seniors. 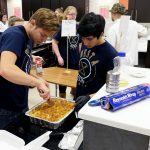 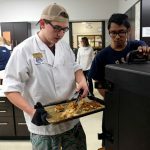 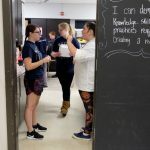 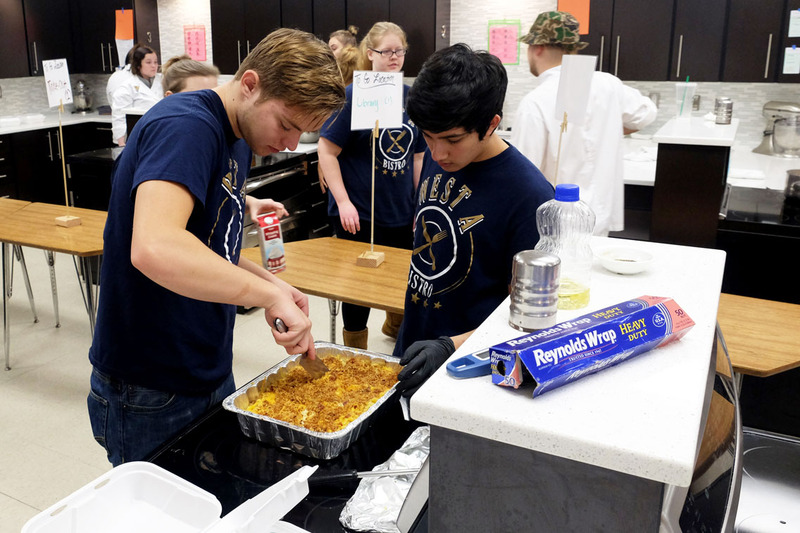 Students are chosen through an application process and are mostly aspiring chefs or foodies who enjoy cooking and working together in a team environment. 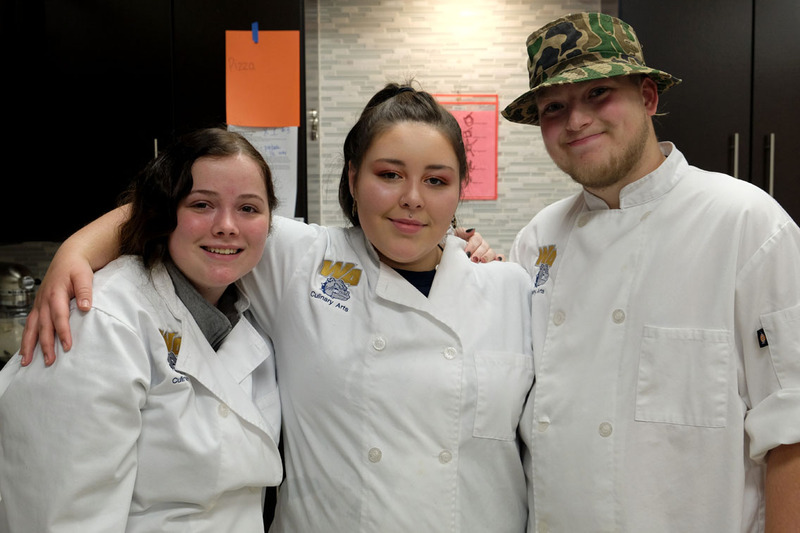 “Everyone helps everyone,” said Logan, who is interested in enrolling in the culinary program at LBCC next year. 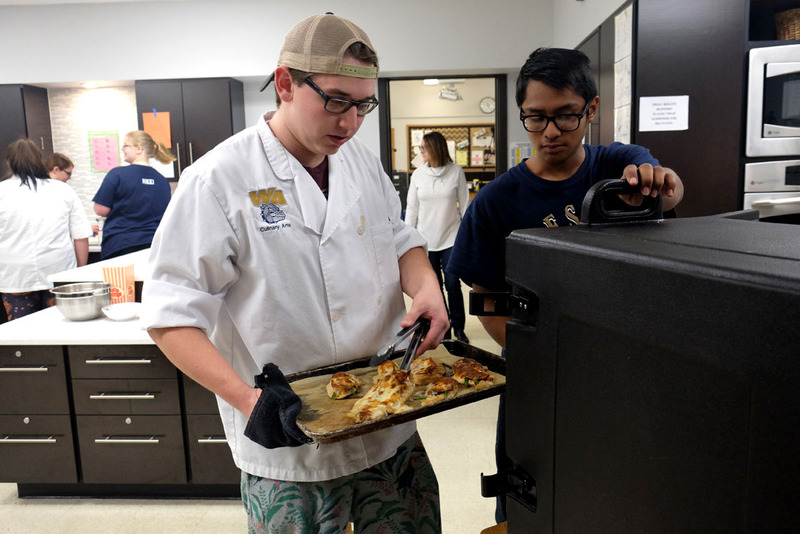 “I’m not sure what I want to do, but I really like working with food,” he said. 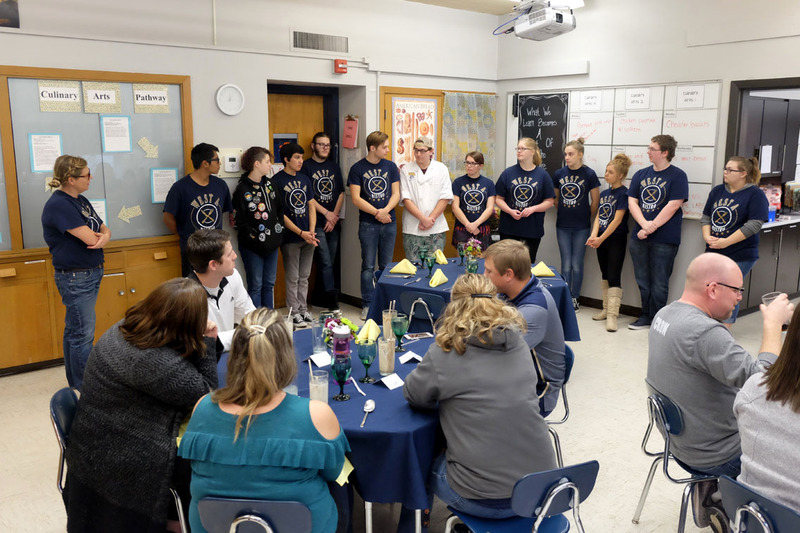 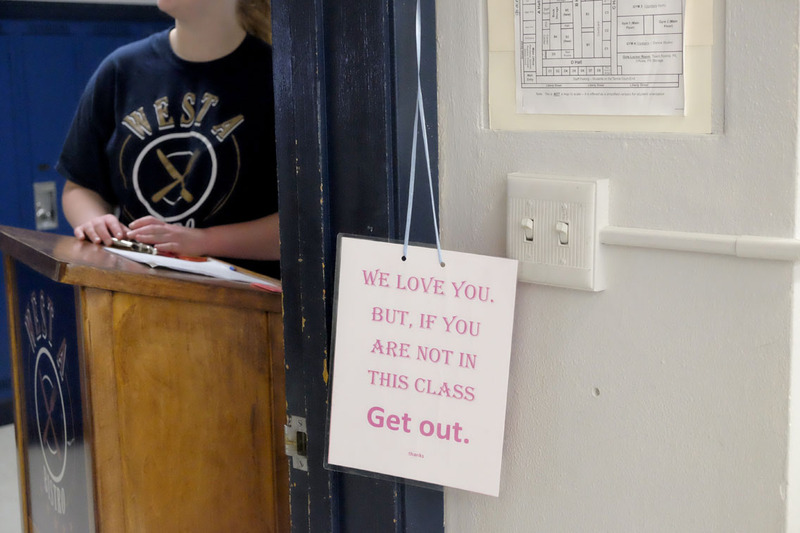 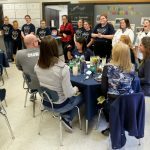 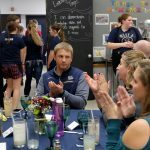 Students are responsible for every aspect of the restaurant, including the menu, budgeting, planning, team assignments, table setting, payments and dishes. 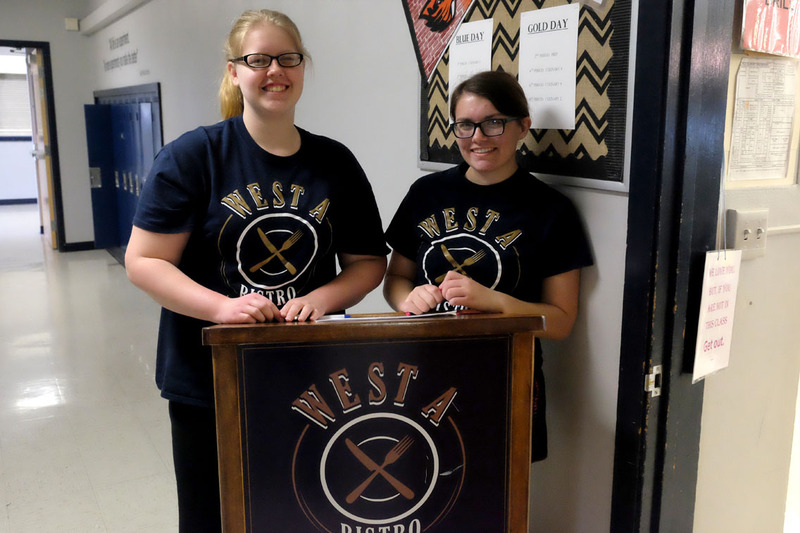 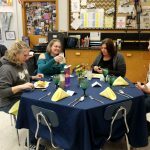 Students are also responsible for delivering meals within the school and to staff at other locations around the district. 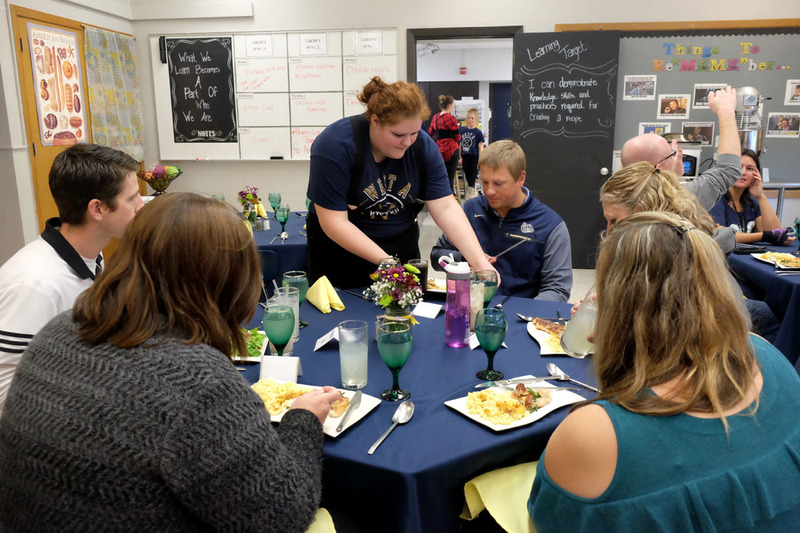 At its busiest, the restaurant has served 20 in-house meals and 55 food orders to go. 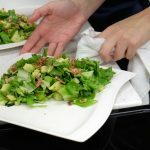 The cost of the meal covers the ingredients. 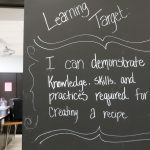 Victorine said the class tries to make everything from scratch. 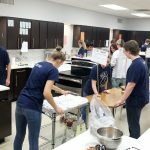 This year, they have new mixers, food packagers and new smokers for cheeses and sausage. 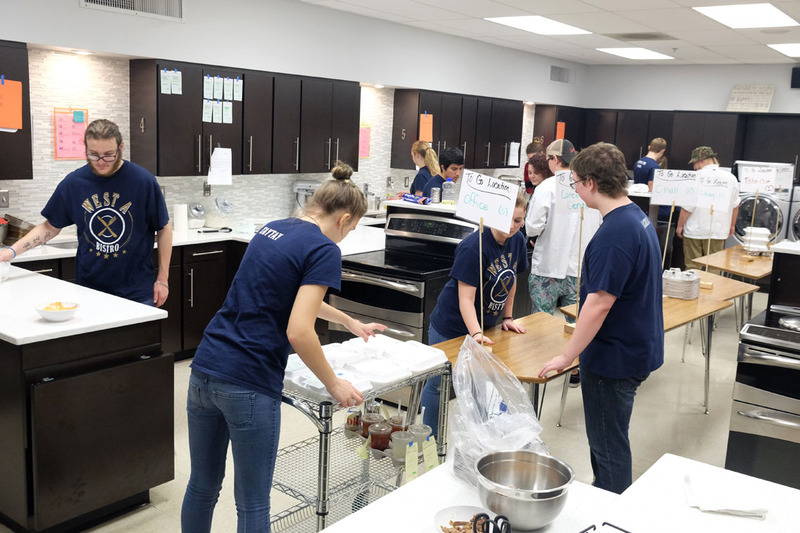 All duties rotate and students are assigned to groups. 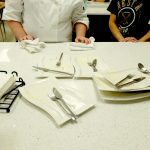 Each group takes a turn assuming head chef duties. 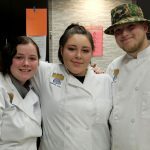 This week’s head chefs were Hayley, Kylynn and Ty, who chose American comfort food as a contrast to last week’s Thai-inspired menu. 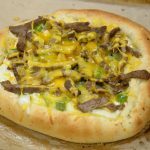 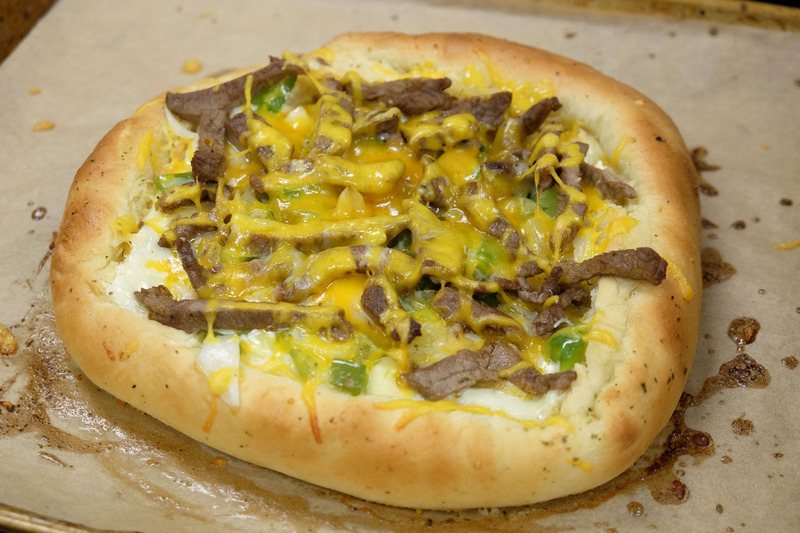 This week’s menu included a Philly steak pizza, an asparagus-stuffed chicken breast, or potato soup and green salad. 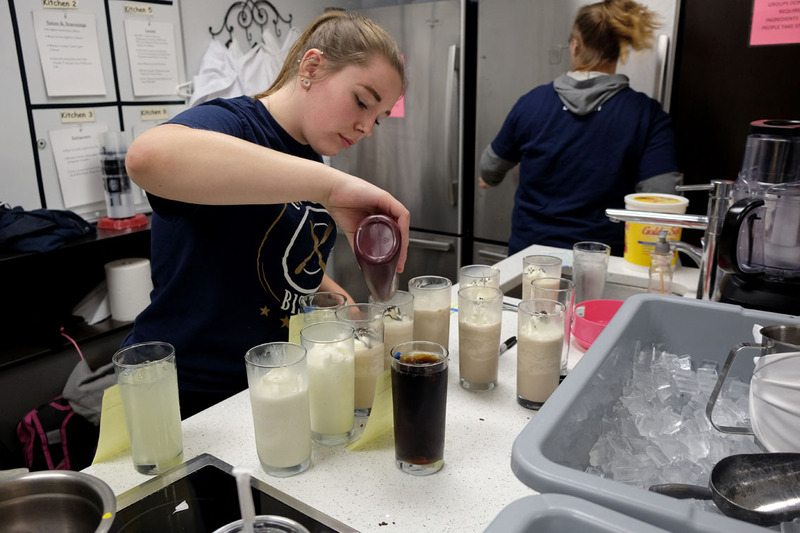 Each entree comes with a drink and dessert, which was a vanilla, chocolate or Oreo milkshake. 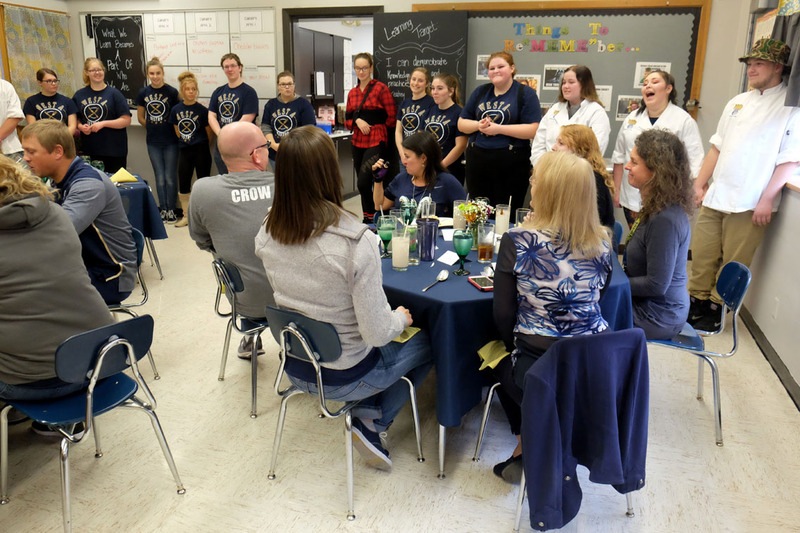 At the end of each meal, the student chefs come out to greet the customers and share the plans for next week’s menu. 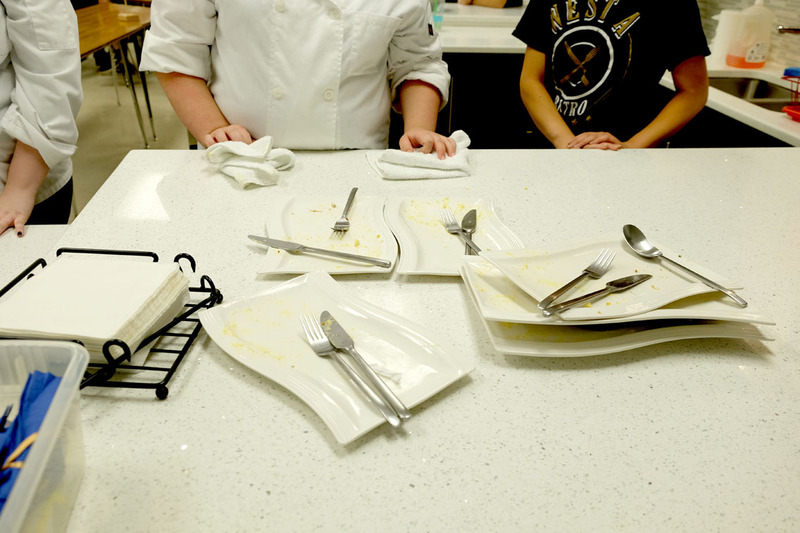 The kitchen isn’t approved for commercial use, so the school restaurant is limited to staff only. 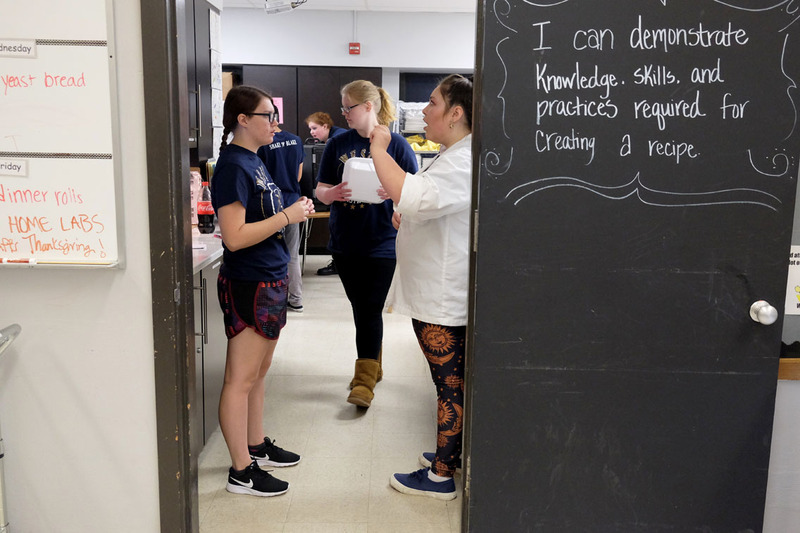 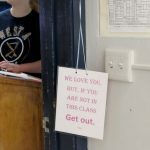 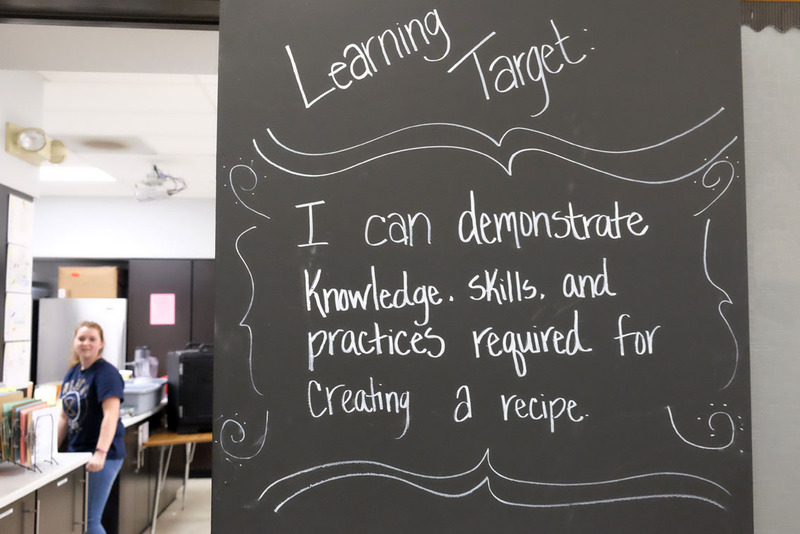 Phase I of the bond-funded school rebuild will include a larger, commercially designed culinary classroom that should be accessible to diners from the community.